This 28W circular ceiling fitting with 360° PIR is the ideal way to save energy and money in commercial and domestic areas with low traffic. The integral PIR senses anyone walking within range, operating without the need for switching. the run time of the light can be adjusted to shine for 5 seconds to 8 minutes after movement is detected. This fitting will ensure that energy is saved and thus you save money in return. 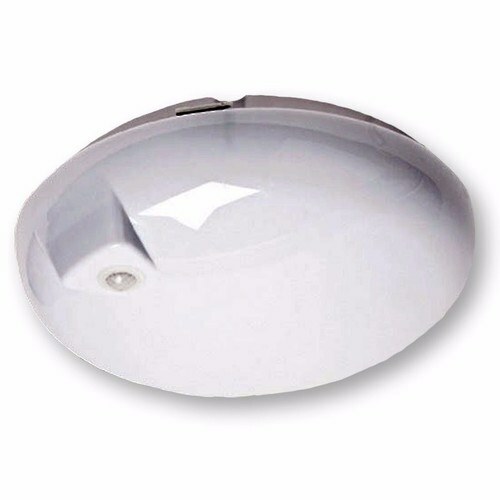 with an IP44 rating these lights are suitable for use in bathrooms and kitchens. These light fittings are ideal for use in offices, schools, halls, warehouses, commercial bathrooms and other such buildings.